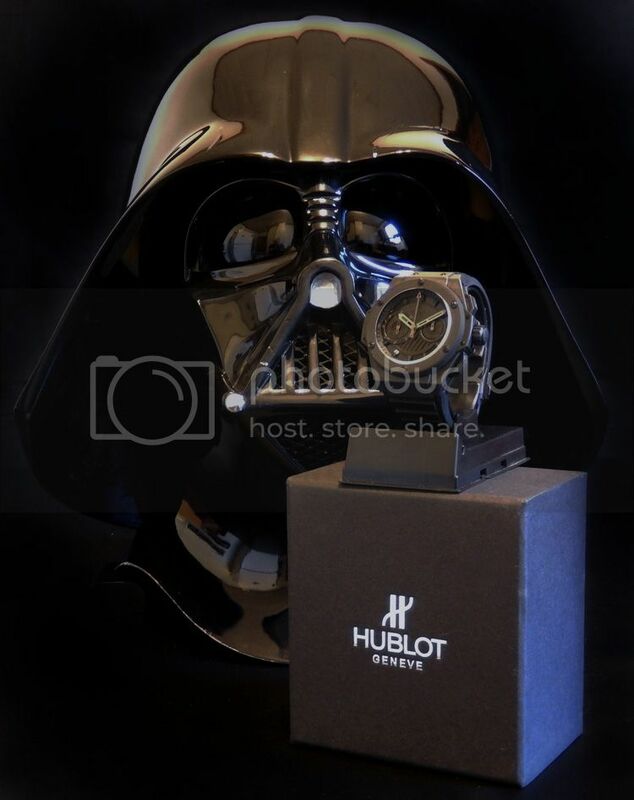 TimeZone : Hublot » Lord Vader, show us your watch! 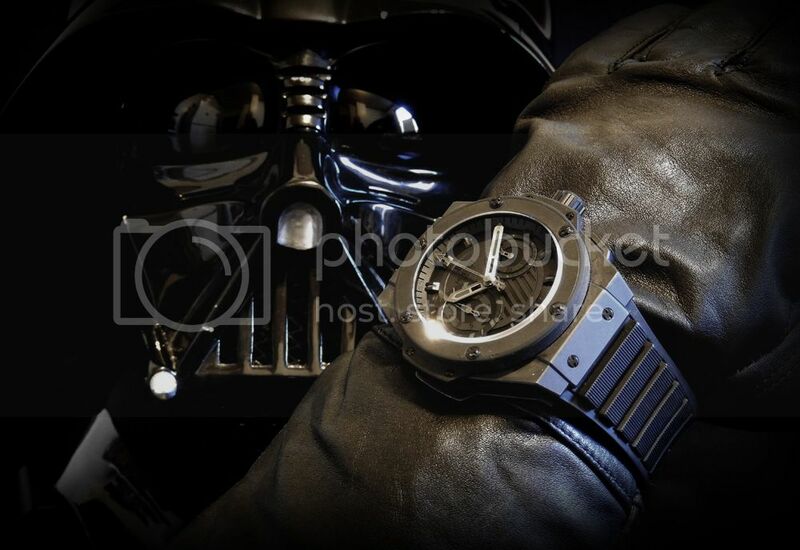 Since I purchased my King Power All Black Foudryante in 2010, I've jokingly referred to it as the "Vader watch." Solid black with such strong lines give it a powerful but dark, ominous look. 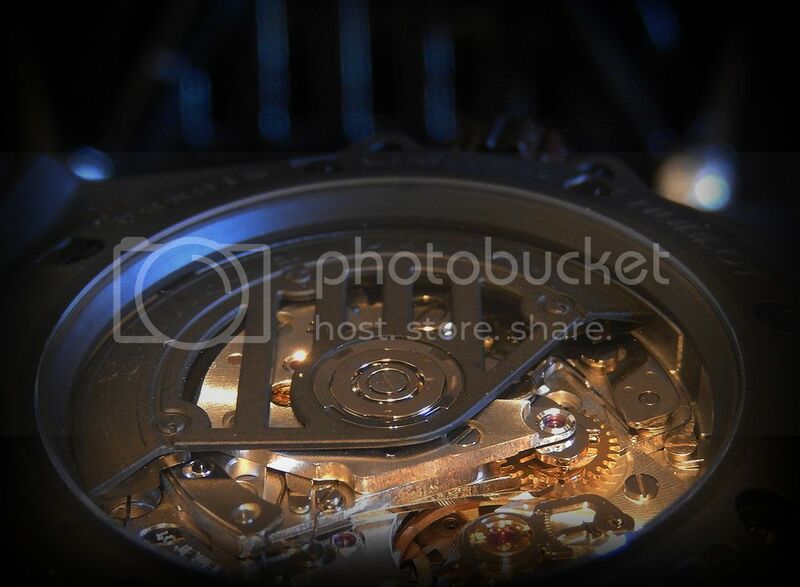 This is absolutely my favorite watch to wear. 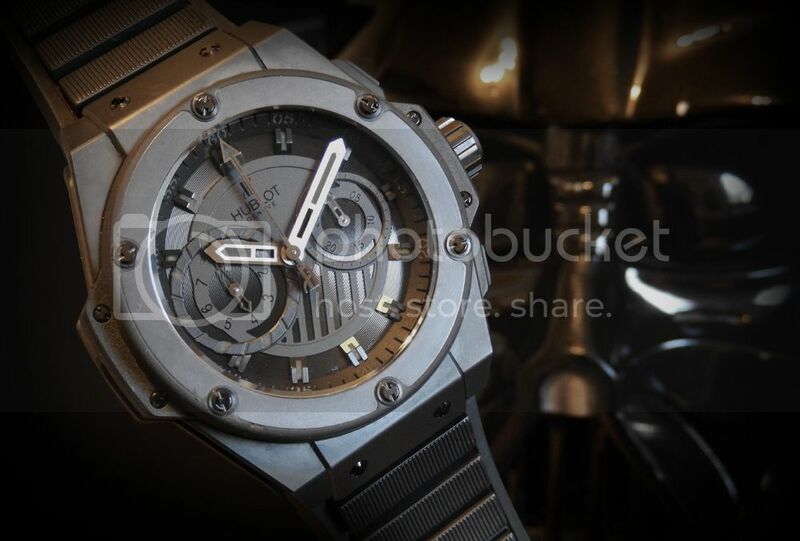 If Hublot had existed a long time ago, in a galaxy far far away, I have NO doubt JCB would have the Sith Lord signed on as a brand ambassador with his on LE King Power...and it would look just like this. So Lord Vader, please show us your watch! Recently I came into possession of an authentic Darth Vader helmet (with documentation) created for Star Wars, "Revenge of the Sith." This will be a birthday gift for my son next week. Before handing over this treasure, I had to grab some photos. 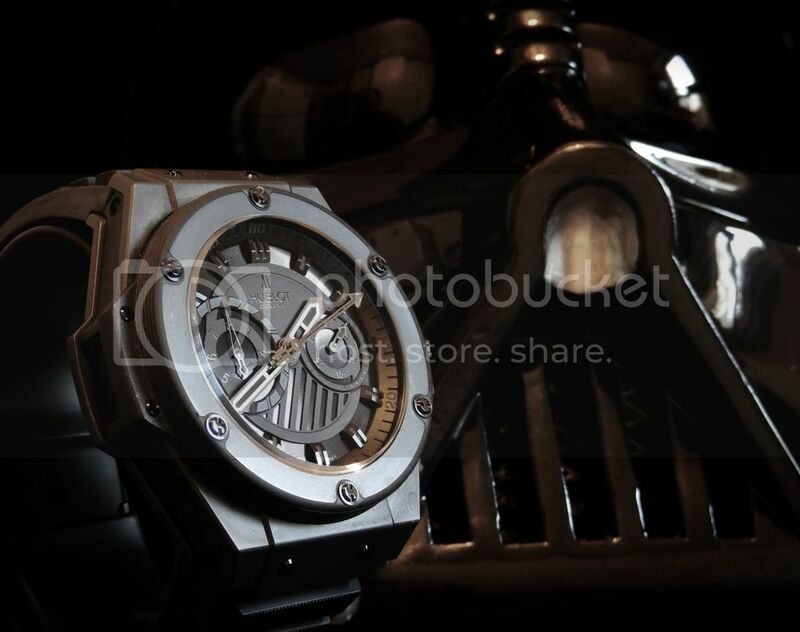 Even the rotor appears to be influenced by Vader's mask. Next Topic: Got it back!